WorldClass Roofing’s team of fully certified roofing specialists offer metal roofing installations in Melbourne at a consistently high quality. Metal roofing in Melbourne has become increasingly popular due to the material’s durability and diverse colour range which allows you to customise your roof to a higher extent. Talk to the professionals with over 30 years of experience today. Many of our happy customers have switched to sheet metal roofing. Melbourne’s home owners will be pleased to hear that this roofing can be installed on top of pre-existing roofing in most cases, and is fully recyclable. There are many advantages to sheet metal roofing. Melbourne homes with a sheet metal roof are better insulated than some other types of roofs, with some estimates suggesting a 40% reduction in energy costs in summer and 15% in winter. Sheet metal roofing for Melbourne homes are much more durable in the notorious Melbourne weather – they can withstand anything Mother Nature can throw at them. Thanks to its longevity, sheet metal roofing is also a relatively cheap material for constructing or repairing a roof. Our Metal Roof Replacements Last Longer! Our roofing contractors and technicians have decades of experience working with metal roofs, knowing how to install safely and securely. Our sheet metal roofs are also coated to prevent rust, provide waterproofing and guard against the heat. WorldClass roofing installations across Melbourne are known for lasting longer! 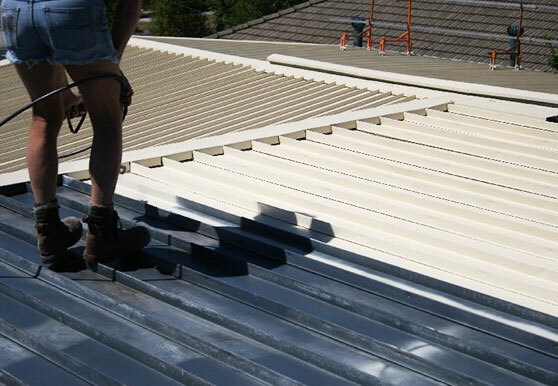 As compared to other roof installations, a metal roof replacement for Melbourne’s homes is relatively cost-effective. This is because metal roofs are a lightweight material, and therefore a less labour-intensive material for our contractors and technicians to handle when installing your metal roof replacement. Melbourne homeowners should contact us today! At WorldClass Roofing, we have the skills and capabilities to oversee repairs and metal roof replacements throughout Melbourne. Available at a competitive price, all our metal roof solutions and products can be painted in durable and vibrant Colorbond paint to remain eye-catching for a longer period of time, adding value to your home. With decades of experience behind us the team at WorldClass Roofing can promptly repair or replace your metal roof without impacting negatively on your daily routine. To gain a deeper insight into the benefits of our expertise working with metal roofs call us today on 1300 097 969 or on 03 9580 9955.